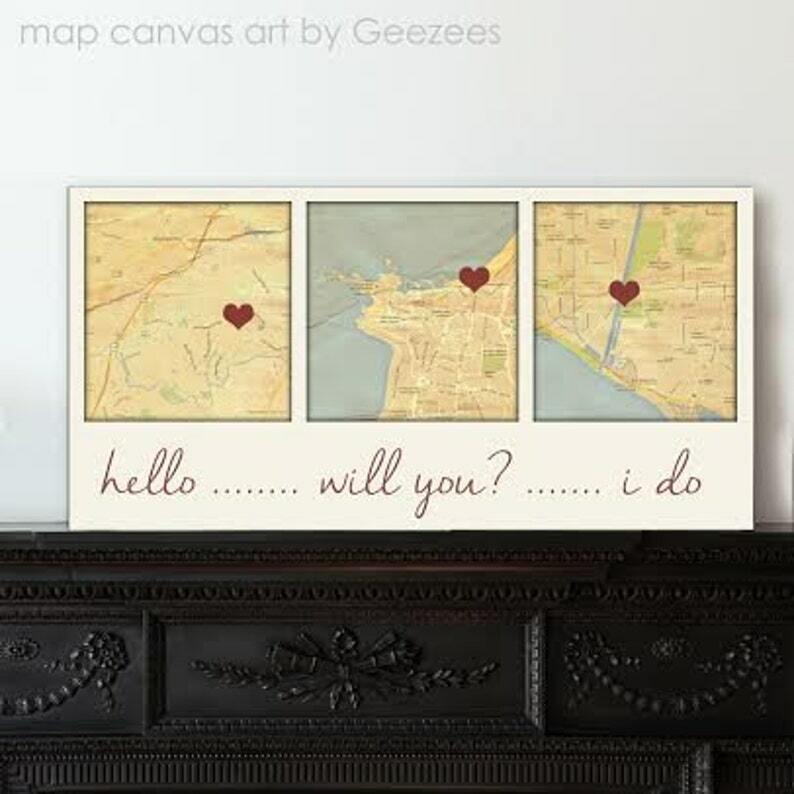 Personalized Canvas Map Custom Maps with names dates, A vintage twist to a map of the Place you met, married, honeymooned. * Want to order?? Here is what you do. 1. Determine the Custom Size you require AND then Purchase your listing. Complete the sale thru Paypal. to geezees(at)gmail.com …If it is Word Art Only - then email me your wording. 3. Put your etsy name in the subject line. 4. Tell me your color schemes and ideas you have. 5. When you purchase custom art from Geezees, you will receive an email if I have any questions about your order within 48 hours. Each order will come with 2 design concepts, then 8 tweaks on proofs until the final concept picked. Each change required after that will be $5.